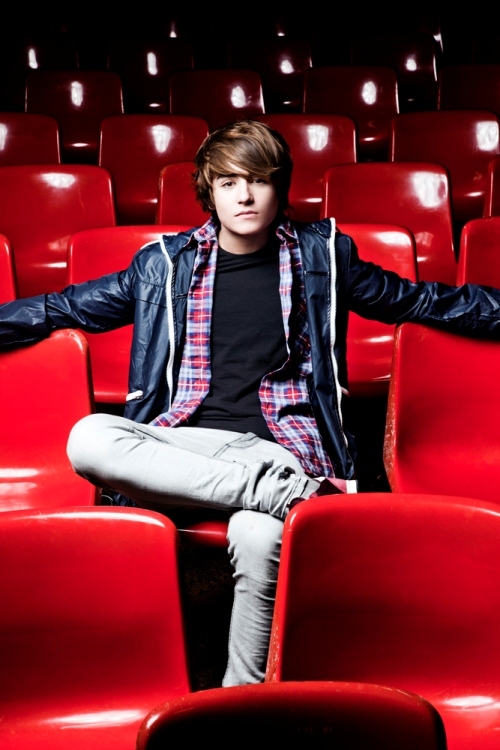 Danny Avila is only 16 years of age but already well on his way to becoming a superstar DJ. With an early introduction to the EDM world, he is rapidly gaining a following; yet Danny has got his feet firmly on the ground. He is definitely one to watch!! CGNY: Danny, 16 years of age and already winning awards!! Congrats! Tell us a bit about yourself. How did you first get interested in music and what lead you into djing? CGNY: Obviously you’re enjoying the fame and fun. Are you still studying or planning to and if so, how do you think you will combine both? DA: I'm going to dedicate my life to what I want to do, which is music. Of course, studying is SO important in life and I definitely have to finish my studies. You never stop learning, no matter what your profession is. I have a lot to learn, and I would like my knowledge of music to improve throughout my artistic career – that’s something that you can never stop learning, no matter how old you are. CGNY: Were your family supportive when you told them about your career choice? DA: It wasn't a shock decision that came out of the blue one day for them. I've been working very very hard and every single day to reach my dream. Of course, they have been very supportive, because they want me to be happy and to know that I enjoy every moment in my life. CGNY: A lot of great dj/producers come from Spain, Paco Osuna, Henry Saiz, The Advent. Who do you admire and look up to from your own country and abroad? CGNY: Have you encountered prejudice or ageism – given that you are so young? How do you deal with that? DA: Sometimes people are skeptical and not sure what to expect when I arrive in the DJ booth. But most of the time everyone is very friendly and welcoming and then as soon as I start playing and people start dancing it doesn't matter anymore how old I am. CGNY: Where do you see yourself in 5 or 10 years time, professionally? DA: It’s very hard to answer that question. My life has changed 360º in 1 year…so I have no idea at all what I'll be doing in 5 or 10 years – apart from enjoying my life and the music! CGNY: Have there been any djs who’ve acted as a mentor for you? DA: Yes, when I started living in Madrid, people like Dj Nano helped me a lot in my music career. I have to thank Fedde Le Grand also, for the support and for giving me the opportunity of sharing line-ups with him. CGNY: Forgive my ignorance but what’s a wakeboard? And how do you manage to have time to work on that –I’ve heard you’re almost pro-level! DA: A wakeboard is the board that you use for Proactive Wakeboarding, which is one of the most important Xtreme sports in the world. You use the wave that the boat makes to jump and make flips in the air – kind of like kitesurfing or waterskating – like snowboarding but on water instead of snow and of course you’re being pulled along the water by a boat rather than going down a mountain! At the moment it's very hard to combine wakeboarding with the music. I've been competing a lot, and it gets very tiring. Now I've decided to practice it as a hobby and concentrate on the music as my main focus. CGNY: Apart from your radio show and building on that – what’s next for you in terms of producing and djing? DA: I have a lot of new projects. I'm preparing new tracks which will be released very soon. With regards to DJing I have big shows this year, but they are still to be confirmed – it’s very exciting!